CAPACITY up to 300 kg / 660 lbs. When travelling with your dog the StopDog Mobility Control Car Tether Leash comes in handy. 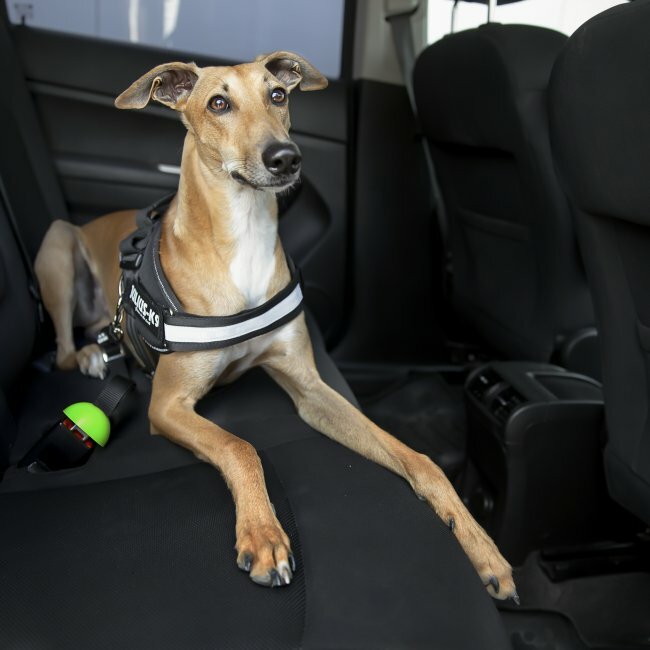 When used with JULIUS-K9® Powerharnesses with side rings the leash can restrict the dog’s movement, so that the animal will not disturb the driver and it will prevent the dog from jumping out of the car when the doors or windows are open. 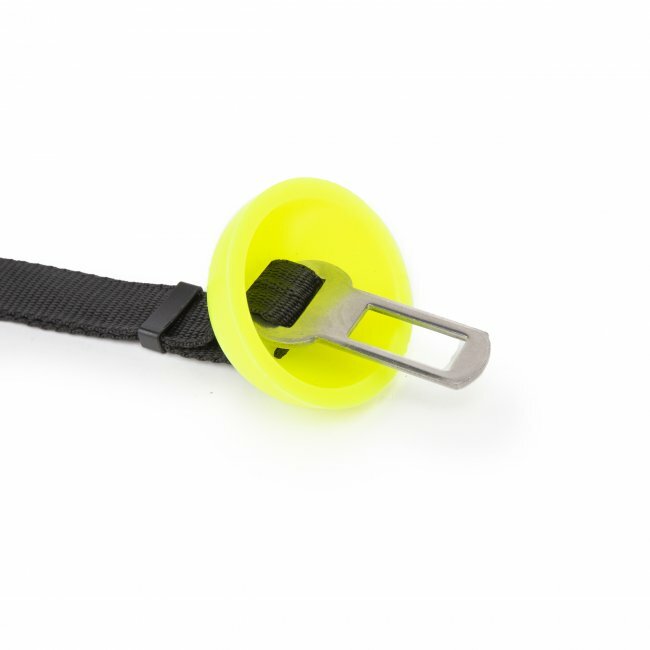 The rubber protector of the StopDog Mobility Control Car Tether Leash prevents the accidental unfastening of the safety belt caused by the paws and keeps the buckle clean. The length of the leash is adjustable between 47-70 cm / 18.5-27.55 in. 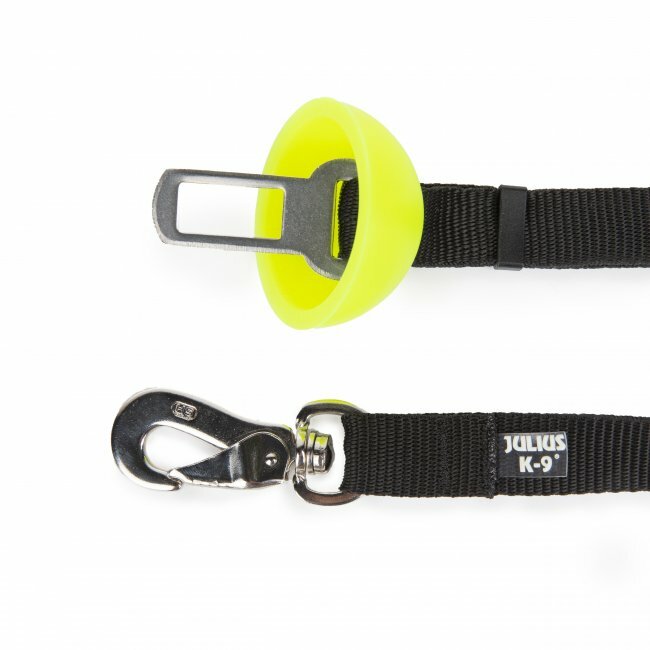 It is a product designed especially for JULIUS-K9® Powerharnesses. 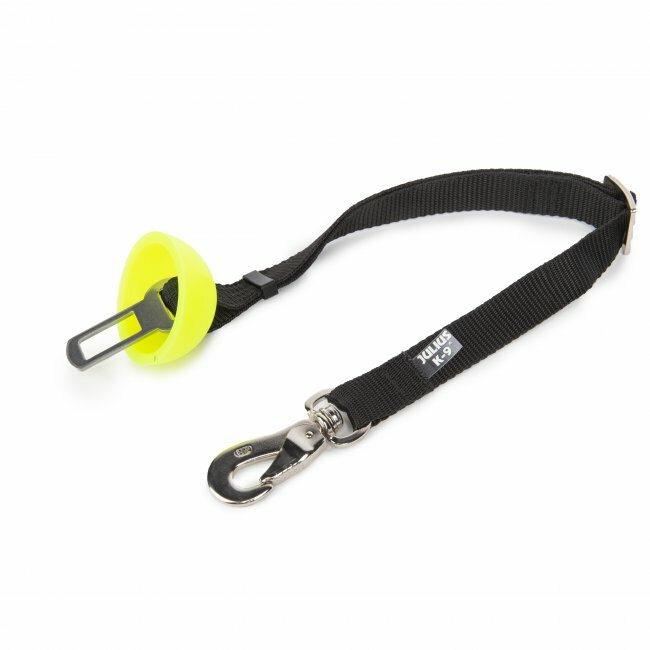 The StopDog Mobility Control Car Tether Leash is easy to use – just connect one end to the side ring of the harness and the other end to the buckle of the safety belt. For maximum safety the simultaneous use of two leashes is recommended. The StopDog Mobility Control Car Tether Leash will not provide protection against injuries in the case of an accident or crash! For the safety of the driver the StopDog Mobility Control Car Tether Leash may only be used in the back seat of the car. Although the StopDog Mobility Control Car Tether Leash can be used with most car brands, it may not be compatible with all models. Before purchasing the product please check compatibility with your car. We do not assume liability for any damage resulting from the improper use of the product. DO NOT USE THE PRODUCT IF IT IS DAMAGED!